- At a loss for what to do with all those fronds? Chop ‘em up and add to bubbling soups, use them as a bed when roasting a chicken (cosy! ), or add them to your favorite pesto. 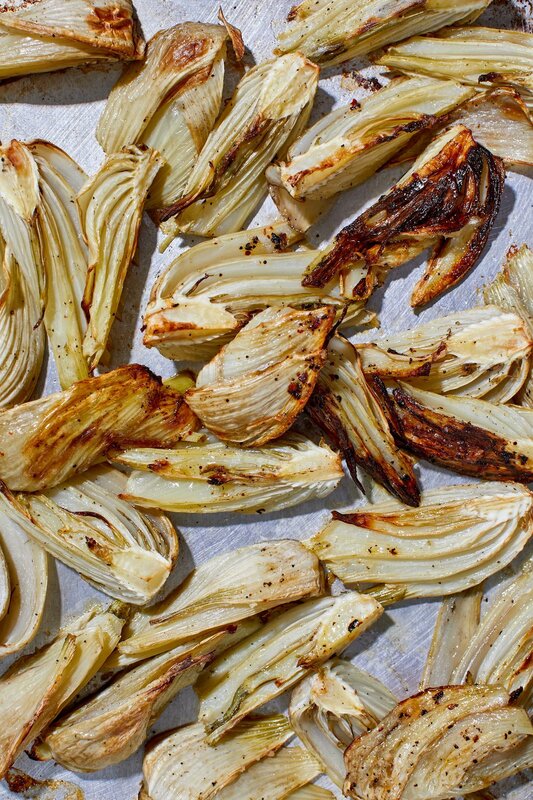 - If you landed yourself some monster fennel (jackpot), cut into eighths before roasting.